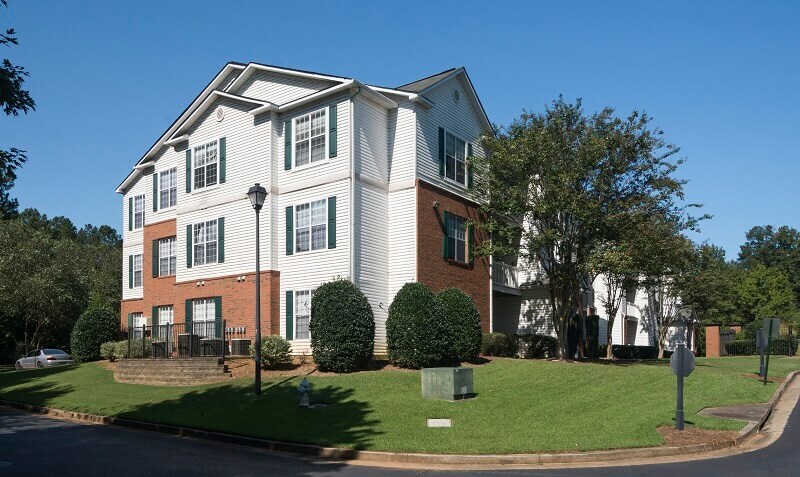 Mainstreet at Conyers is a 192-unit workforce housing apartment community located on the east side of Metro Atlanta placing residents in close proximity to numerous major employers, beautiful parks, large distribution centers, premier shopping destinations, and recreational amenities that include Georgia International Horse Park and Cherokee Run Golf Club. While Atlanta has grown into a prominent international distribution center, Conyers and Rockdale County continue to carve out a significant portion of the warehouse and distribution market. Primary employers located in the immediate area include Shire/Baxalta, Rockdale Medical Center, Hill-Phoenix, Golden State Foods, and Dart Inc.
Mainstreet was developed in 2000. The property’s floor plans are some of the largest in the market, averaging over 1,125 square feet and offering three options ranging from 984 square foot one bedroom plans to 1,287 square foot three bedroom plans. Community features include clubhouse, business center, sparkling swimming pool, fitness facility, sundeck and grilling stations, children’s playground, and detached garages. Interior unit features include 9 ft ceilings, large walk-in closets, patio/balcony, full size washer dryer connections, modern appliance package, faux wood flooring, ceiling fans, and outside storage space. An extensive property upgrade program will begin immediately after closing and will focus on enhancements and upgrades of the clubhouse, community amenity package, and unit interiors.